MAHOGANY FROG: "Message From Uncle Stan: Green House", de Senna, Moonjune Records, 2012. GAMBALE / DONATI / FIERABRACCI: "The User", de Made In Australia, Wombat Records, 2007. MACHINE MASS FEAT. DAVE LIEBMAN: "Centipede", de Inti, Moonjune Records, 2014. CRISTIÁN GALLARDO TRIO: "Cuok Cuok", de Cuok Cuok, Cristián Gallardo, 2013. JOHNATHAN BLAKE: "Blue News", de The Eleventh Hour, Sunnyside Records, 2012. 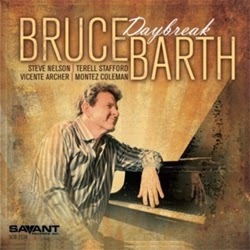 BRUCE BARTH: "Tuesday's Blues", de Daybreak, Savant Records, 2014. 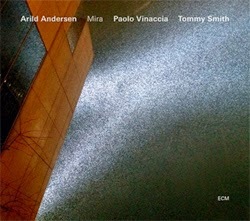 ARILD ANDERSEN: "Rosetti", de Mira, ECM Records, 2013. TOLGAHAN COGULU: "Kara Toprak", de Atlas, Kalam Müzik Yapim, 2012. 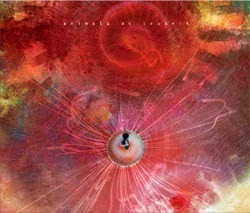 ANIMALS AS LEADERS: "Air chrysalis", de The Joy Of Motion, Sumerian Records, 2014. METRO: "The Journey", de Live At The A-Trane, Marsis Jazz, 2004. NIACIN: "Electrocity", de Krush, Prosthetic Records, 2012. 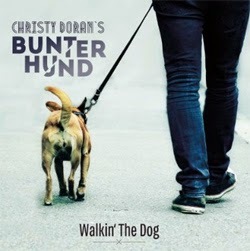 CHRISTY DORAN'S BUNTER HUND: "Eos And Thitonos", de Walkin' The Dog, Unit Records, 2013. MARCELINO GALÁN: "The Gift", de The Gift, Free Code Jazz Records, 2013. ATLANTIC BRIDGE: "Blues Para Mar", de Atlantic Bridge, Karonte, 2009. 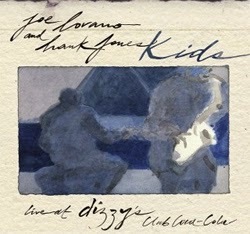 JOE LOVANO AND HANK JONES: "Four In One", de Kids, Blue Note Records, 2007. EVO: "Per Tropo Fede", de Eva, Songsurfer Records, 2012. FLYING COLORS: "June", de Live In Europe, Mascot Music, 2013. XAVI REIJA: "Resolution", de Resolution, Moonjune Records, 2014. DEWA BUDJANA: "Kalingga", de Surya Namaskar, Moonjune Records, 2014. MARC HALBHEER'S 5th EDITION: "The Second Flat Of A Minor Bee", de Confidence In Symmetry, Textit Music, 2013. 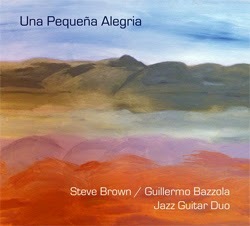 STEVE BROWN & GUILLERMO BAZZOLA: "Lazy Waltz", de Una Pequeña Alegría, Brown Cats, 2014. NELSON CASCAIS DECATETO: "Mustafa", de A Evoluçao Da Forma, Sintoma Records, 2013. YAGO VAZQUEZ & MARCOS PIN - DUOLOGY: "You Don't Know What Love Is", de Session 1, Free Code Jazz Records, 2013. DHAFER YOUSSEF: "Whirling Birds Ceremony", de Birds Requiem, Okeh, 2013.